White poly bubble mailers #0 6X10 Inches with 3/16” bubble cushioned wraps help ship your products to customers in a safe packaged mailer. Whether you’re shipping crafts to customers or gifts to family and friends, our high quality bubble bags make an excellent package that allows you to send your items with confidence and ease. You can count on these envelopes to not only close securely, but to also protect your valuable shipment from inclement weather and excessive moistures. 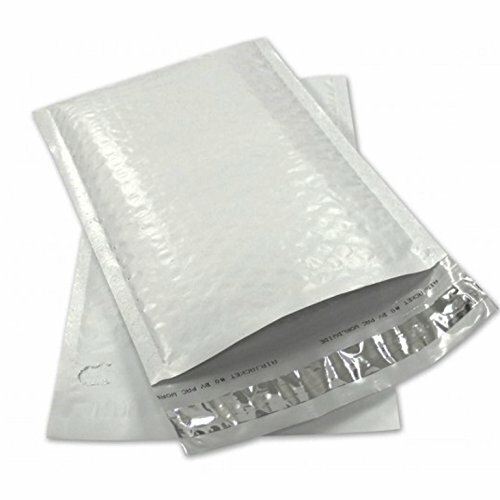 Lined with thick, yet airy, bubbles, these mailers embrace your items in a safe cushion of air and plastic, ensuring their safe arrival at their definition. Peel-and-seal strip is quick and easy to use. Remove strip and close. Once the envelope has been sealed, it cannot be opened without visible signs of tampering. Puncture, tamper and water resistant providing extra security for item being shipped. Order your supply of these poly bubble mailers today to avail our quick shipping policy.